“What is a nation without a mother tongue?” - says Jack Edwards. The Department of Tamil organised an activity day on the 23rd and 27th of February 2019. Students of grade 6, 7 & 8 as well as 3, 4 and 5 were the enthusiastic participants of the show , respectively. 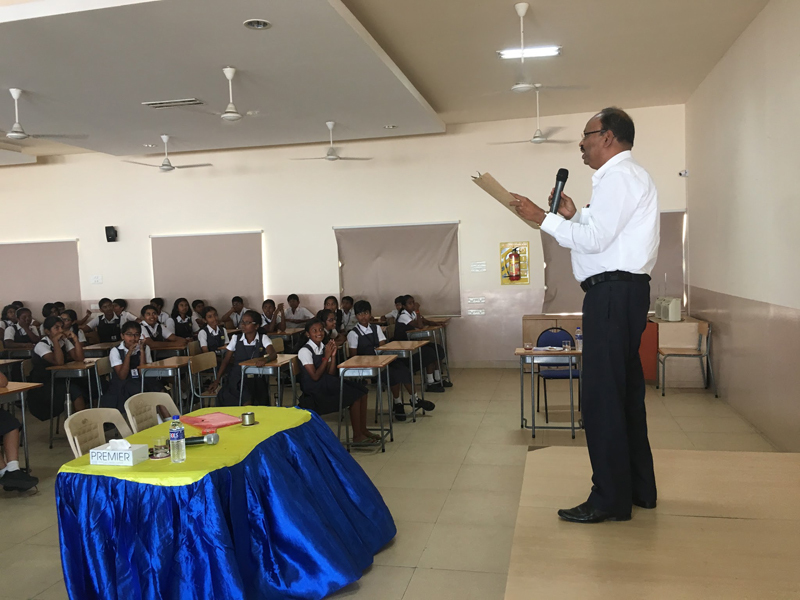 This event included various competitions like recitation of ‘Thiruppavai’ and ‘Thiruvempavai’, folk song and Thirukkural recitation on Day 1 and story telling, proverb recitation and tongue twisters on Day 2. 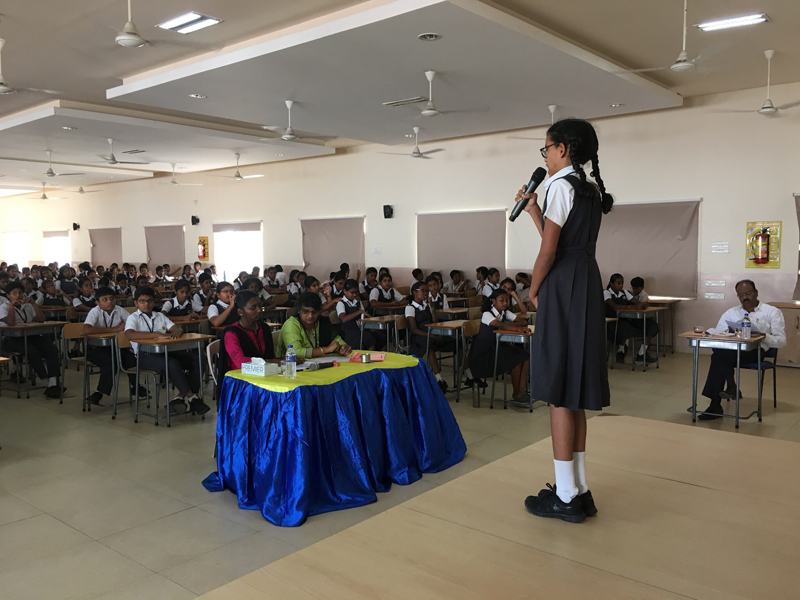 The preliminary round was conducted in the respective classrooms and students were selected for the final based on their excellence in recitation, memorisation and pronunciation. It was undoubtedly a phenomenal opportunity for the students to exhibit their talents on stage. They were judged based on their rhythm, inflection, clarity and confidence. The main objective of this activity was to inculcate the importance of our rich and traditional culture.The whole-hearted and commendable participation of the students and teachers contributed greatly to the success of this event.